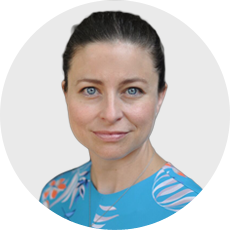 Melbourne ENT Group is pleased to introduce Dr Lucy Matthews, an Australian trained and qualified Ear Nose & Throat (ENT), Head & Neck Surgeon. Lucy completed her Bachelor of Medicine/Bachelor of Surgery at the University of Melbourne in 2007, after completing a Bachelor of Arts/Bachelor of Science with Honours (Genetics) in 2001. She completed residency at the Austin, Royal Melbourne and St Vincent’s Hospitals in Melbourne, and during this time also completed a Postgraduate Diploma in Surgical Anatomy at the University of Melbourne. In 2014, she commenced advanced training in Otolaryngology, Head & Neck Surgery. She is a Fellow of the Royal Australasian College of Surgeons (FRACS) and a member of the Australian Society of Otolaryngology, Head & Neck Surgery (ASOHNS). Lucy practices in general adult and paediatric ENT surgery, having undertaken advanced training at leading tertiary referral hospitals in Melbourne and Brisbane. Lucy trained in paediatric ENT at the Royal Children’s Hospital, Brisbane and gained experience in head and neck trauma at The Alfred Hospital, Melbourne. Lucy has a special interest in voice and conditions of the larynx, thyroid and parathyroid disorders, salivary gland disease, nasal obstruction and sinus conditions, snoring and obstructive sleep apnoea in children and adults. Lucy holds a Consultant appointment at Barwon Health, contributing effectively within a large tertiary surgical unit, maintaining strong academic ties as well as actively undertaking teaching of advanced ENT surgical trainees. She maintains currency of knowledge and is passionate about employing new and innovative techniques through regular attendance at national and international conferences. Lucy takes an individualised approach to each patient. She recognises the importance of communication and takes pride in providing patients with a satisfying experience. With her own young family, Lucy understands the challenges of parenthood and relates well to parents with young children. Lucy enjoys all aspects of ENT surgery and is keen to assist both General Practitioners and other Specialists with their patients. Lucy enjoys the theatre, snow skiing, food and travel, and is an energetic mother of two young children.